Cleaning up a marine oil spill is a Sisyphean task. 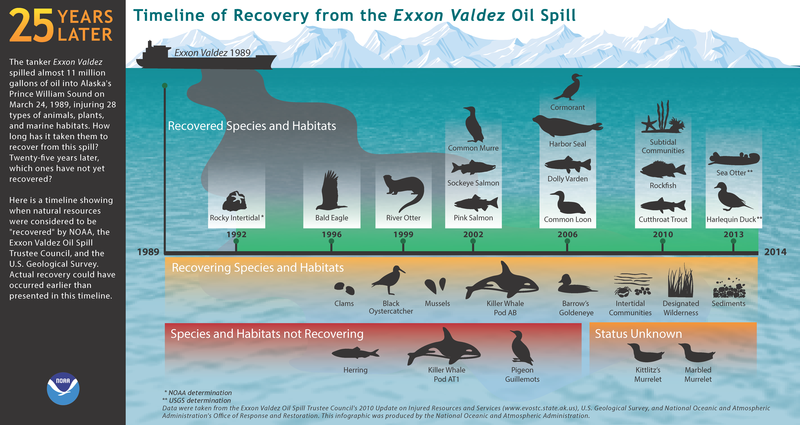 Removing every drop of oil from every inch of ocean and shoreline is impossible. But recent research suggests that even those trace amounts of crude oil left behind after cleanups might cause fatal heart defects in some developing fish. The study, published in September 2015 in the journal Scientific Reports, examined salmon and herring exposed in laboratory tanks to very small amounts of oil. Seven months after exposure, the young fish swam more slowly than normal, which the authors described as a sign of heart problems. These heart problems, they suggested, might have been the cause of the collapse of the herring population in Alaska’s Prince William Sound four years after the Exxon Valdez oil spill in 1989. Just before the spill, in 1988, Alaska fishermen caught more than $89 million worth of Pacific herring; by 2013, the annual take was just $15 million. Today, the Prince William Sound herring population still has not recovered, according the National Marine Fisheries Service, whose scientists were also involved in the latest study. “This study suggests that there will be lasting effects upon the health of bony fish,” says Michael Barresi, a developmental biologist from Smith College in Massachusetts who was not involved in the study. Though controversial, the conclusions of the new study are not a complete surprise. Compounds in crude oil called polycyclic aromatic hydrocarbons, or PAHs, have been previously shown to interrupt electrical signals that regulate contraction rhythm in the heart. This disruption causes heart deformations as these fish grow. In humans, these types of deformations can be corrected with surgery, but for a young fish, this isn’t an option, says John Incardona, a biologist at the Northwest Fisheries Science Center and the lead author of the study. What’s surprising about the latest research is that Incardona and his colleagues found that even extremely low concentrations of crude oil could lead to heart problems in fish. How low? Just 200 parts per trillion, the equivalent of “five drops of poison in an Olympic swimming pool,” says Incardona. Two hundred parts per trillion of PAHs is very close to what scientists typically find along shorelines where there haven’t been spills for years – if ever. The concentration is so low, in fact, that it’s barely detectable with current technology, according to Incardona. Researchers typically find similar concentrations on shorelines that get trace amounts of oil from car exhaust and from oil leaks on land nearby. In 2010 in the Gulf of Mexico, the Deepwater Horizon oil spill released more than four million barrels of crude oil 5,000 feet below the surface. According to Barresi, that’s more than enough to trigger heart defects in fish embryos in the spill zone, if the study is correct. “Deepwater plumes following Deepwater Horizon did have more concentrated PAHs than what was used in this study,” he says, adding that any fish embryo exposed to crude oil is at risk for developmental problems. But Page argues there are many other potential explanations for fishery crashes besides oil spills. In the years after the Exxon Valdez spill, for example, hatchery-raised pink salmon were introduced into Prince William Sound and may have out-competed the herring for food, according to Page. He also notes the geographic area of the Alaska spill overlapped very little with the herring spawning areas in 1989 and 1990. “All this means that any linkage of the results of [this study] and the actual spill is speculative, ignores other more likely causal factors and is probably wrong,” he says. 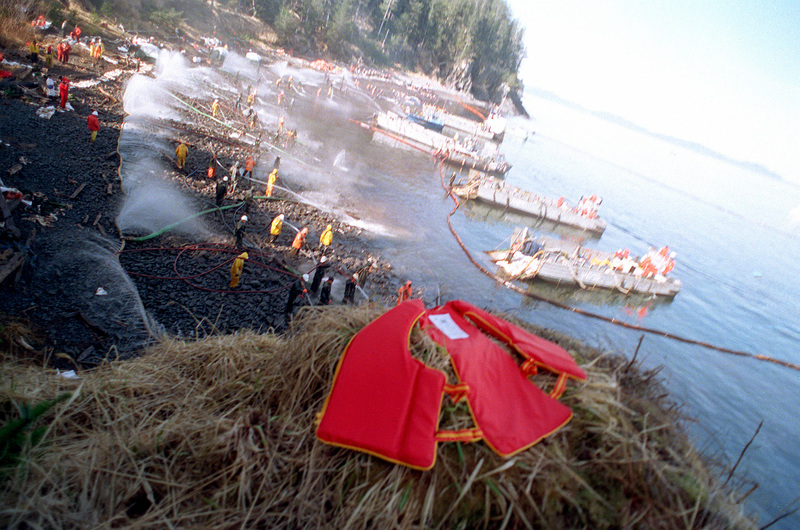 For now, the new research seems unlikely to prompt changes in spill cleanup standards. Only one state, Alaska, has any standard at all for PAH concentrations in coastal water, and Alaska’s maximum allowable concentration is 50 times higher than what fish were exposed to in Incardona’s study.